Henry Cavill is a British actor, famous for his roles in the series The Tudors and the blockbusters Immortals and The Man from U.N.C.L.E. The actor played his starring role of the legendary American comics hero Superman in the films Man of Steel and Batman v Superman: Dawn of Justice. He will return to this role in the sequels about Superman and two movies Justice League and Justice League Part Two, a part of the DC Extended Universe with the participation of other famous superheroes. Henry Cavill was born and spent an early childhood on the island of Jersey, his mother’s homeland. 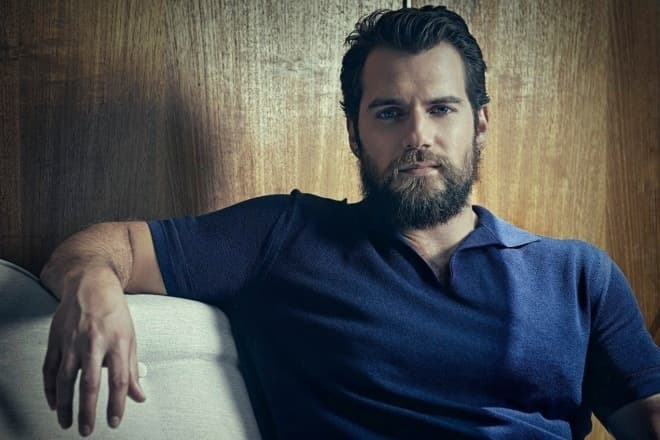 His father Colin Cavill served in the navy and then worked as a stockbroker. Mother Marianne was a housewife and brought up five sons. Henry was the fourth child. At first, the boy attended St. Michael's Preparatory school in Saint Saviour, where he liked to play in school productions. Later, he entered the traditional English selective school for boys in Stowe, Buckinghamshire. Cavill wanted to leave the island since the life in such a remote province did not meet his ambitions. But he did not feel at ease at the independent school. Classmates did not accept a new pupil since Henry joined them in the middle of the school year. Moreover, he was short and plump. On the one hand this attitude tempered the character and developed his personality, and on the other hand, it made him continue to play in school theatre. Henry Cavill said that when he went on the school stage and portrayed an ancient hero, he did not feel that anyone laughed at him. Besides, the young man devoted much time to sports. He played rugby, field hockey and cricket, was a member of school teams. Nevertheless, the young man was fond of ancient history, and he did not want to connect his life with the world of cinema or with sports. He planned to enter university and study there Egyptology, and subsequently to join the Royal Armed Forces, as his older brothers did. As a result, Henry has never received a degree in drama, and he began to film after the high school graduation. Henry Cavill's acting career began out of the blue. 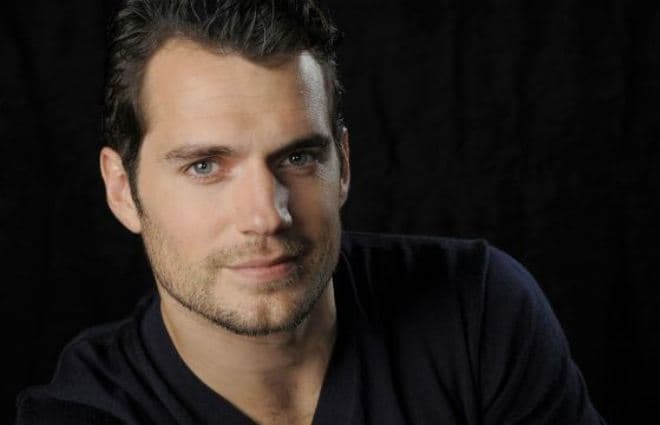 18-year-old Cavill was invited to take part in the shooting of the Canadian-Italian thriller Laguna. He agreed although Henry did not decide to become an actor. But the work with the star of American cinema, Joe Mantegna, doted the i's and crossed the t's. One year later he got an exciting role of Albert Mondego in the film adaptation of the classic novel by Alexander Dumas "The Count of Monte Cristo." The novice actor coped with the part brilliantly and received positive reviews from critics in such editions as Variety, Rolling Stone, New York Times and many others. The actor had real success in 2007 when the television series The Tudors were shown on TV. Henry Cavill played Charles Brandon, best friend, and later, son-in-law of King Henry VIII. 4 seasons were filmed for three years, and Cavill starred in all seasons, although from a historical point of view his hero could not participate in the last events of the series. Nevertheless, the producers took the liberty to add the viewers’ favorite actor to the cast for the last season. Henry Cavill has become famous in Hollywood as an actor with extreme bad luck nabbing breakout roles. At the end of 2005 Empire magazine jokingly named him "the unluckiest man in Hollywood." He was the first choice to play Cedric Diggory in the film Harry Potter and the Goblet of Fire, but finally Robert Pattinson got the role, as well as the role of Edward Cullen in the sensational vampire saga Twilight, although the author of these fantasy romance novels, Stephanie Meyer, insisted on the participation of Henry. But the directors considered him too old to play these characters. The actor was considered too young and was refused at the final casting of the movie Casino Royale, where he auditioned for the role of James Bond and could outperform many candidates, including Sam Worthington. But he lost to Daniel Craig. 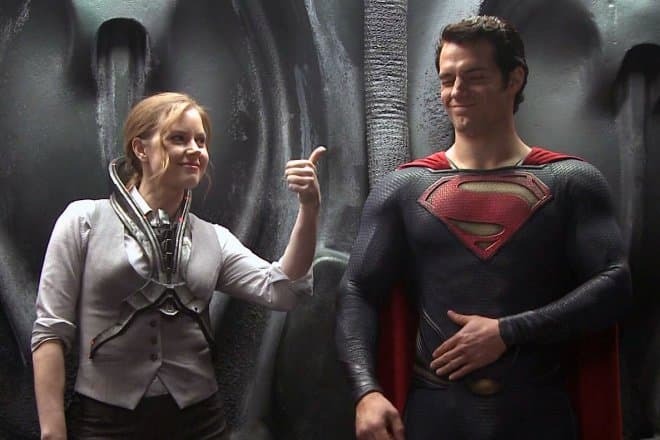 Another failure was the project Superman Returns, where the actor was already approved for the title role, but the new director decided to change the cast, including Henry Cavill. Nevertheless, he played Superman in Zack Snyder’s new film Man of Steel, which was shot for a year and a half and released in 2013. The actor recalls that he went to the casting with mixed feelings, worrying that he would be refused again because Armie Hammer and Joe Manganiello also auditioned for this role. 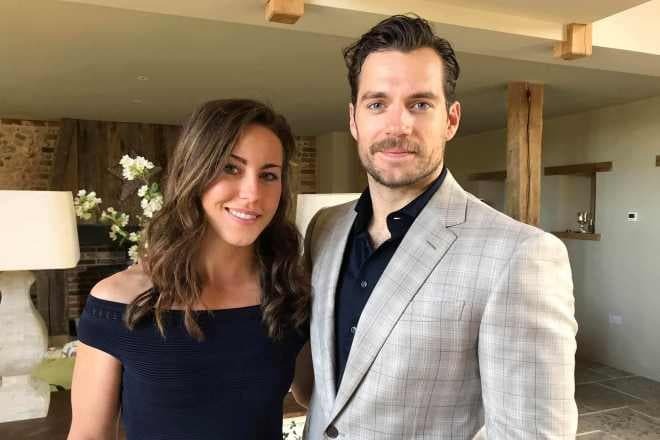 But everything went well, Henry's beautiful classical facial features and muscular figure entirely corresponded to the image of Superman (the actor's height is 185 cm, and weight is 85 kg). Henry Cavill became the first Englishman to play the role of this American comics superhero. By the way, it took the actor about 20 minutes to dress in Superman's costume. The film showed the development of Superman as a hero and was the start of a new film series about him. The movie showed the arrival of Superman on Earth, the beginning of the hero's struggle with the villains, and Clark’s romantic relationships with Lois Lane (Amy Adams), the hero’s beloved woman in classic comics. After the success of the blockbuster, he signed a contract for a new shooting in the same role. Subsequently, the next fantastic action movie Batman v Superman: Dawn of Justice was released, which can be a sequel to Man of Steel and an independent film. Besides, Cavill previously agreed to participate in two parts of Justice League, which will be a continuation of the famous franchise. 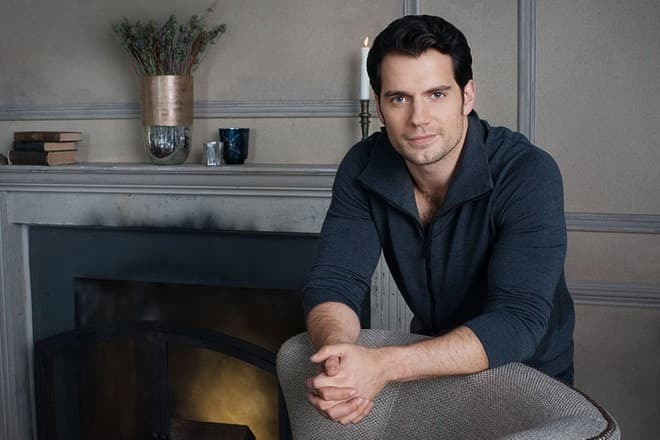 Henry Cavill does not like to talk about his romantic relationship. Even his colleagues speak of him as a somewhat reserved person. However, his private life does not prevent the actor from having a verified account on Instagram with millions of subscribers. He dated the famous show jumper, Ellen Whitaker, for several years. They were even engaged, but at the end of spring 2012, the couple separated. Henry also had a love affair with actress Kaley Cuoco for two weeks. The lack of confirmed information about his girlfriend has prompted speculation about the actor. Some fans are even sure that Henry is gay. Fans are also confused by the fact that the actor Matt Bomer, who is incredibly similar to Cavill, is an openly gay man. Provocative photos sometimes appear on the Internet with a man who can easily be confused with Henry. Henry did not pay attention to gossips, and he continued to hide his personal life. But soon the press managed to find out that the actor dated the student of Bristol University, Tara King. In May 2016, the couple broke up. 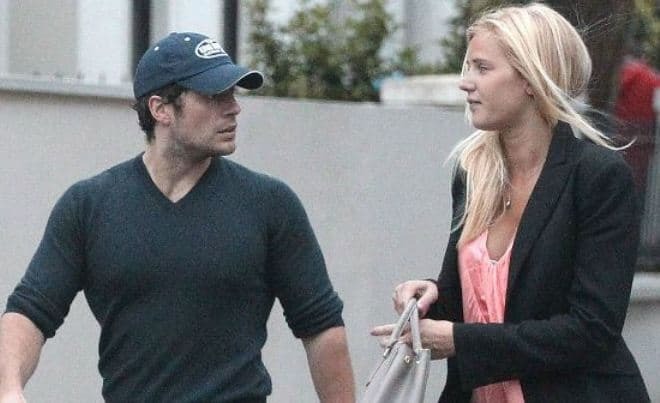 Henry Cavill began dating stunt woman Lucy Cork. Henry Cavill is a representative of the Durrell Wildlife Conservation Trust and an ambassador for The Royal Marines Charity. He even took part in The Gibraltar Rock Run 2014. Besides, the actor has a piece of nature in his own house. Cavill got an Akita dog, which he named Kal-El after Superman's name on his home planet. The superhero action movie Batman v Superman: Dawn of Justice premiered on March 23, 2016. The film became the first crossover of the DC Extended Universe. Ben Affleck played the role of Batman, and Gal Gadot portrayed the Wonder Woman. The actors continued to play these roles and in solo movies about superheroes, as well as in big crossovers. The film was financially successful. It became the fifth highest grossing film of the year. However, critics gave negative reviews, mentioning the illogicality of the script, the lack of the characters’ development and the groundless plot twists. The film received seven Golden Raspberry Award nominations and won four of them. The movie was named the Worst Prequel, Remake, Ripoff or Sequel. They also mentioned the Worst Screenplay, and the duet of Cavill and Affleck was called the Worst Actor, as well as Jesse Eisenberg was called the Worst Supporting Actor. The devastating reviews did not affect the plans to shoot crossovers and sequels. November 16, 2017, Henry Cavill appears in the role of Superman in the film Justice League again, and in 2019 he will return in the movies Justice League Part Two and Man of Steel 2. The photos of filming and official events with the participation of the cast regularly appear on the actor’s official website. 2015 - The Man from U.N.C.L.E.